Speaking of winter, snow or Christmas are coming up to our mind. We have many winter superb view spots that you can enjoy only in Japan. Now, let me show you some winter superb view spots in Japan today. Let’s check it out ! The Christmas lights of Huis Ten Bosch is the first place in Japan that is being held from Oct.29 to Apr.17. It becomes the winter tradition. So fantastic ! This sightseeing spot is famous for the popular Christmas lights spot that is Japan’s largest lighting event along with Huis Ten Bosch. The scale is unique in the world. The tunnel of the light, water illumination, etc. are superb ! It’s worth visiting. 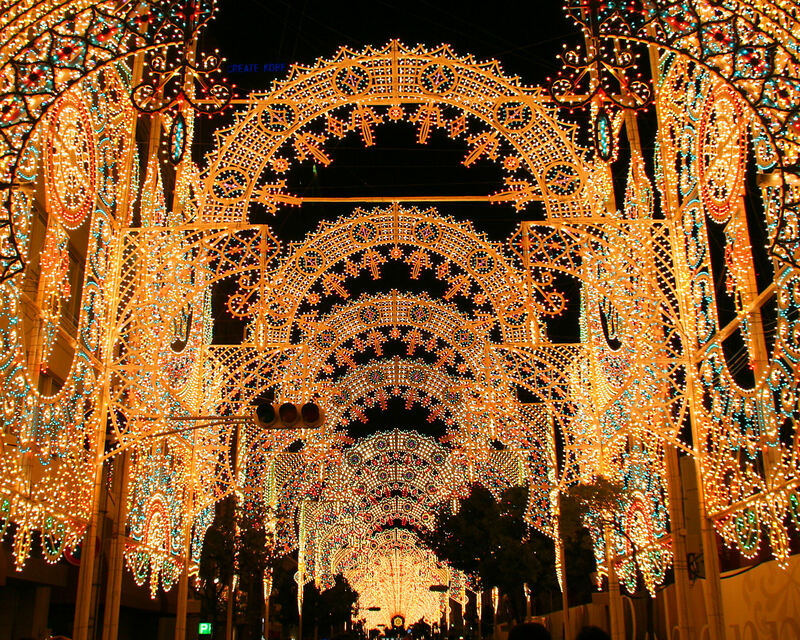 Kobe Luminarie is the event that is held in every December. It was held for the first time in Dec. in 1995 when the Great Hanshin-Awaji Earthquake occurred. Kobe Luminarie is an event in order to hand down the memory of the earthquake and to symbolize the hope of the city and citizens. Sapporo Snow Festival is held at some event sites in every February. This festival is one of the most large-scale events in Hokkaido that 2million visitors gather not only from Hokkaido but also from all over Japan or overseas. You can see rich variety of snow images there. Kamakura is a small New Year holidays event to worship god of water that boasts the 400 years’ tradition. It is performed on the night of every February 15, 16. Some children will serve you hot drink and a rice cake. It’s so tasteful and unique ! Shirakawago is one of the World Heritage Sites and many visitors come. The structure of the house is called “ Gassho-zukuri “ which was named after praying hands. The lighting up is held on the weekend of every February. Kinkakuji is also the World Heritage Site in Japan. The formal name of Kinkakuji is “ Rokuonji “ that was built by the order of Yoshimitsu Ashikaga in the Muromachi Period. It is said to be more beautiful than any other sceneries that are seen in every seasons. How about watching this rare and sublime scene in Kyoto ? Did you feel the unique point of Japan？ There are not only winter scenery but also the Christmas lights or snow festivals here. 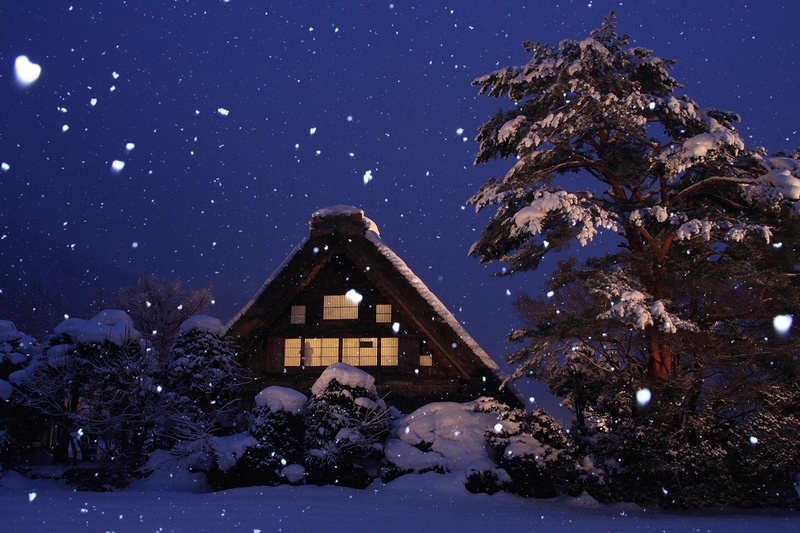 Many winter events can be seen in Japan except these spots. Enjoy various spots that are unique to Japan !